We, as artists, are constantly inspired by each other. We take cues from all mediums, from graphic design to photography, from music to sculpture. 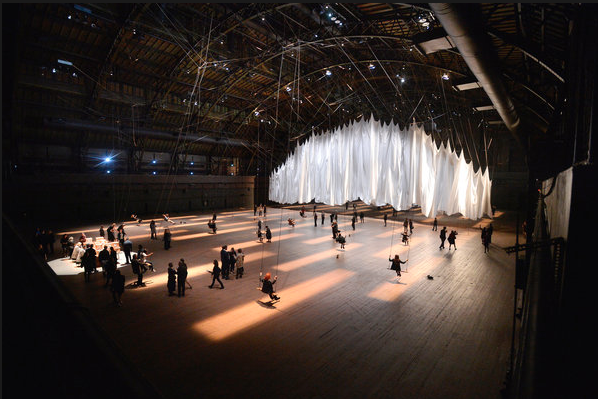 Yesterday I had the pleasure of experiencing Ann Hamilton's installation "The Event of a Thread" at the Park Avenue Armory. The artist concocts an intricate pulley system that interconnects swings, bells, pulleys, and an enormous white sheet. The largescale swings reminded me of memories as a young child. Many people enjoyed the installation lying down directly below the billowing sheet. Additionally, the graceful arch of the armory was accentuated by the undulating sheet. 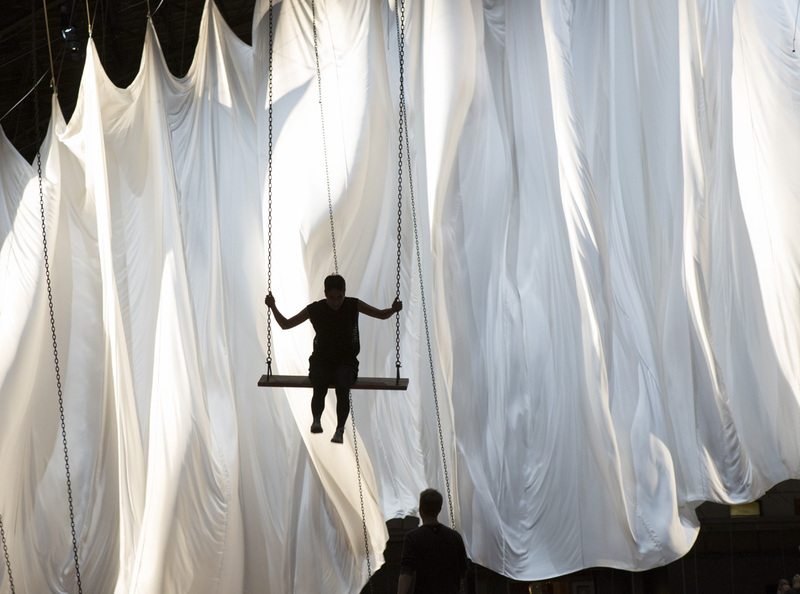 Albeit temporary, the sheet became it's own architectural element in an ethereal, weightless way . She also manipulates nature by putting pidgeons into cages whilst actors read Aristotle from long, handwritten scrolls.